Delighted is a survey software that uses the Net Promoter Score (NPS) system in gathering feedback from customers. Users can collect, analyze, and distribute feedback, enabling them to measure customer needs over time and support growth initiatives. We compiled Delighted user reviews from around the web and determined that it has generally positive ratings. We also shared its available pricing options. Users who gave Delighted a positive review said that the NPS system is very easy to set up and that it provides great user experience. Some also mentioned that its interface allows their companies to obtain more open and meaningful feedback, as well as a higher response rate. Users who gave Delighted a negative review said that its features are too simple and that the choices for customization are limited. They also noted that it does not have integrations with some popularly used applications. One user who gave Delighted a positive review on G2 Crowd said that the user-friendly and pleasant interface makes it possible for respondents to be more open about their feedback. She noted that this positive experience helped increase the response rate significantly, which allowed her company to obtain more meaningful results. One user who left a review of Delighted on Capterra said that its simplicity also exposes areas for improvement. He mentioned that while the system is very easy to use, the customization options are limited. He also dislikes that there is no integration with popular messaging apps, such as Facebook Messenger and WhatsApp, where he can also send surveys. Delighted offers one free plan and five paid subscription plans: $49/month, $99/month, $149/month, $249/month, and Enterprise (customized pricing). The subscriptions are billed either monthly or yearly, with a 10% discount per month on yearly payments. The main difference between the plans is the number of people surveyed per month. *Annual subscriptions are paid in lump sum per year. All plans are free at the start, and users can obtain responses from up to 250 people to test the results’ quality before deciding to upgrade to a paid subscription plan. Check out the list below of some of Delighted’s features. How to Conduct an Employee Engagement Survey With Free Template — Check out this article where we explain how you can do an employee engagement survey within your company from start to finish (and what to do with the results). How to Get Reviews on Amazon the Right Way — Customer feedback is important to improve your business operations, especially when you’re selling on Amazon. Read on to get ideas on how you can get reviews faster and maximize the positive reviews that drive product sales. Small Business Software Survey: Key Findings About Small Businesses — Not sure about the type of software you need for your business? Check out this article for some insights on the types of software widely used by small businesses, the types used least often, and the most popular brands. Does Delighted offer a free trial? What are the inclusions? Yes. The duration of the free trial is not mentioned on its website, but users can survey a maximum of 250 people during the period. This number ensures that users get a good amount of feedback to obtain quality results before deciding to upgrade to a paid subscription. 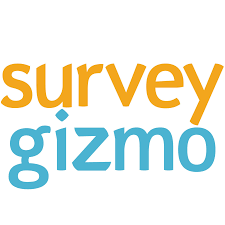 Does the software automatically send surveys to people? Yes. It does, and users can automate a survey to be sent out based on a specific event in the system or on a person reaching a milestone (e.g. if he has reached one month from signup). Users can also use it to send to sets of people, and the parameters are up to the user. Net Promoter Score is a two-part survey system that aims to provide more targeted and useful feedback to companies. The first part is a single-question survey that asks respondents to provide a rating based on a 0 to 10 range. The second part is an open-ended, free-form, follow-up question that asks customers to give more context for the rating they chose in the first part. All responses are divided into three groups according to the numerical rating they gave, from which a trend is formed and a score between -100 and 100 is extracted. The NPS score is the percentage of those who gave a high score (called promoters) minus the percentage of those who gave a low score (called detractors). This video provides an overall background on what Delighted can do to help businesses obtain meaningful market data and increase their sales. Not sure if Delighted is the right fit for you? Read our reviews of all top survey software providers or check out one of these three Delighted competitors. The Delighted NPS survey was very easy to set up and get going, and it has a great user experience, which increased our NPS response rate and the amount of open feedback we were receiving. As our response rate increased, so did our NPS score, and our score has become more stable over time, allowing us to know when there are real changes in NPS rather than random fluctuations from a lower response number. Their support is also amazing and helpful. Its simplicity is also limiting. 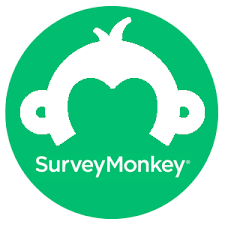 I often get asked if we can add a question to the NPS survey, but we can’t without adding a separate survey on the page seen after giving comments, only reaching respondents who leave comments and then directing them of Delighted and into another survey platform. We have online info screen near by our shared customer service area. After launching all of our customers service workers have paid much more attention for smaller details that might cause problems in whole process. We have also got good feed back from our customers to improve our internal prosesses.